The out-of-the-box analytics solution Shopify provides is a basic one, and unfortunately, the ecommerce data (transactions, add-to-carts, etc.) is incomplete and unreliable. 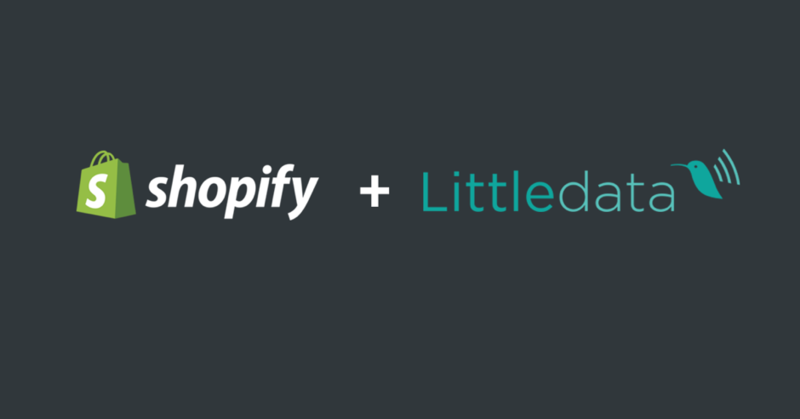 With the help of Littledata, you can now be sure that “Shopify has you covered” with Analytics data collection. If you run a store with a large marketing budget you know how important it is to have accurate Analytics data to establish how your marketing budget is performing. 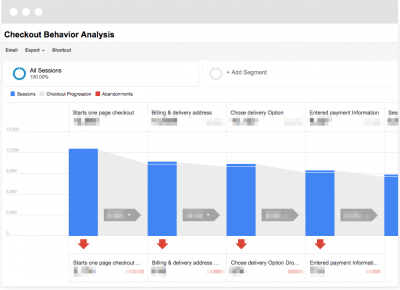 It’s also important to read the top 5 pitfalls in tracking ecommerce in Google Analytics as these will also apply to Shopify users. The Shopify checkout is sending the customers to a Shopify domain (checkout.shopify.com). This makes the visitor sessions end suddenly even if they are in the process of buying something. The sales attribution for Shopify store owners is also painful due to the change of domains causing ‘checkout.shopify.com’ or a payment gateway to be attributed as the ‘last click’. All of these ecommerce interactions help you as a marketer / acquisition manager / owner to know more about your customer’s interactions with your products. You can read more about the benefits of tracking the enhanced e-commerce in the article: use enhanced ecommerce to optimise product listings. Clicking on a product link will show you the most appealing products, so you can improve the click-through-rate on the category page. If the click through rate is bad, the action to take is to check your product’s master picture and see if there are any errors in getting to the product page. Also, you can investigate if these products are in the right category list. See how can you make these products more appealing to your audience. Read more on our blog on how to improve click-through-rate. Viewing product details will show what are the most viewed product details. You can see this using the URL also, but having this info in a structured way (the product name and product SKU) will make the business analysis far easier. Impressions and clicks on internal promotions. Every website uses at least one banner. But how many are tracking the effectiveness of these marketing assets? Knowing how they perform can mean a better visual strategy, a better usage of website space and maybe will save you some money when creating fancy banners with fancy designers! 5.Add-to-carts and removes from cart. Add-to-carts and removes from cart. Every store owner before Christmas asks themselves which products should have discounts or which to should be promoted? Finding out what products are added to cart and removed can answer some of those most vital questions in ecommerce. You can check your product picture and description and see if there are any errors on getting to the checkout. Also, be sure you give your customers access to the information about delivery and refunds. You can compare these products with your competition and see if the price and delivery costs are for the customer’s advantage. See how can you make these products more appealing to the customer. Purchases. The solution Littledata comes with is a server-side integration to provide a 100% match between your Shopify store and Google Analytics. This ensures that you register the sales data, even if the customer never gets to see the thank you page on your store. Refunds. We all know when seeing online sales, that it doesn’t necessarily mean the end of the process. There can be a lower or higher percentage of returns from customers. Shopify is adding back the refunds on the day the packages return to the warehouse and this can be really sad for a normal day when there are negatives sales. There are multiple ways in which you can mess up your Google Analytics data while using Shopify but these were the most important ones to take in while tracking a Shopify store. Want more information on how we will help improve your Shopify analytics? Get in touch with our experts! Interested in joining the list to start a free trial? Sign up!